Buenos Aires was just a stopover. My singing coach who is living there part of the year, was still in Berlin. 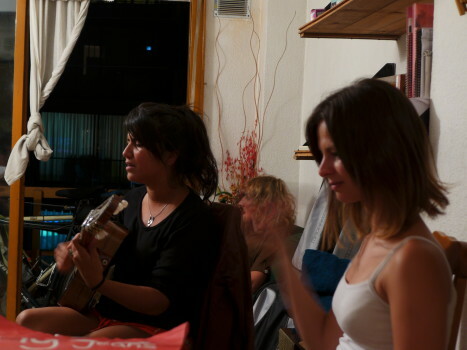 And another girl from the capital i met during my time in Colombia, was still travelling in Mexico. So i had no real reason to stay, especially since Maggie and Bryan would be coming to Rosario for a visit. 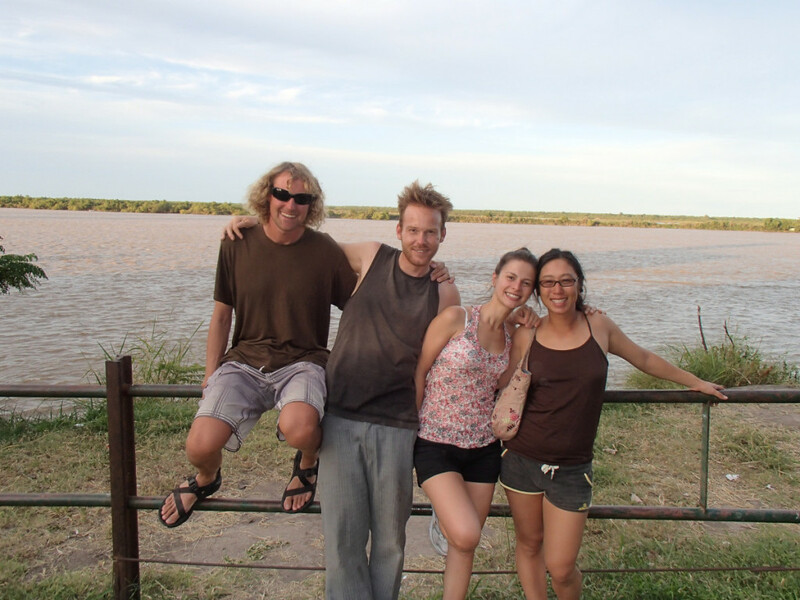 I spent only a day before taking a bus to Rosario where i met Andrea on the terminal. We had a day to ourselves before the Canadians rolled into town. It was quite exciting when the door bell rang and we put two more bikes first in the lift and then on the balcony, where mine was already leaning next to Andrea’s. The next day we all went to the river where there’s usually a refreshing breeze and enjoyed once more being together and leaving the bicycles on the balcony for a while. Taking a bus first and then hiring a boat, we went to one of the island in front of Rosario. 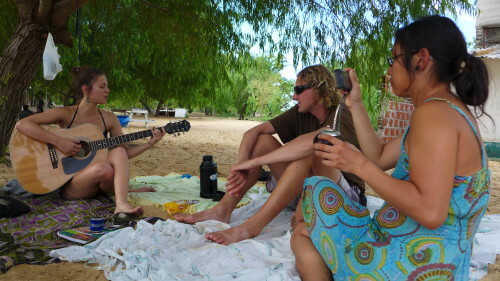 We brought the guitar as well as hot water to prepare Mate and spent the day at the beach. 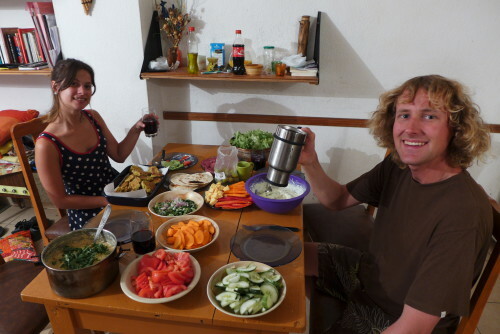 We had already met Soledad, Agustín and Patricio, a cycling trio, when we stayed in Cafayate. 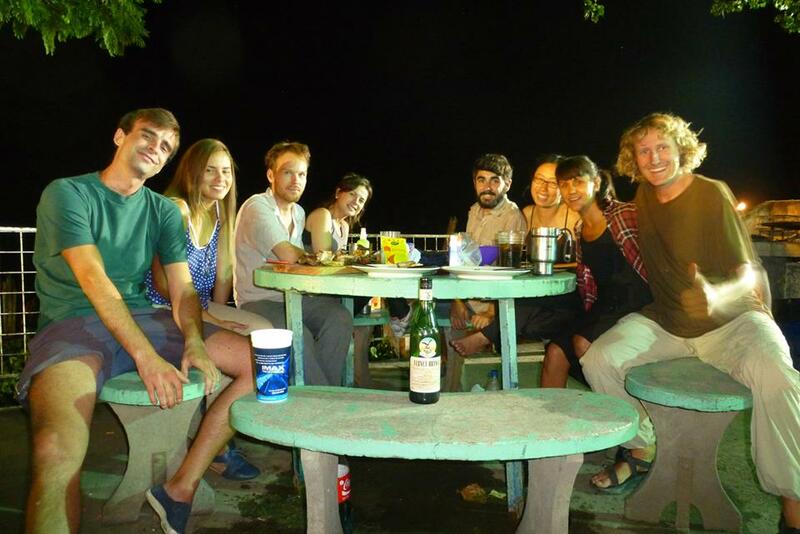 For our reunion they organized an Asado next to the river. This is our lovely group. Asado is a big thing in Argentina. Almost a form of art to some, the procedure takes time until the coal breaks into tiny pieces and can be spread out to get an even and constant source of heat. One could argue if all this is necessary for a get-together but the social aspect is integral part of it. 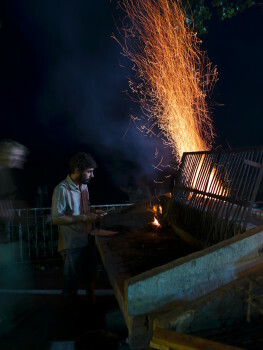 Leaving enough time for the asador to socialize and tend to his drink, which here in Argentina is usually a Fernet mixed with Cola. A lot of people we met are musicians and so music was also an integral part of our days here. Once they were a duo playing the clubs in Rosario. 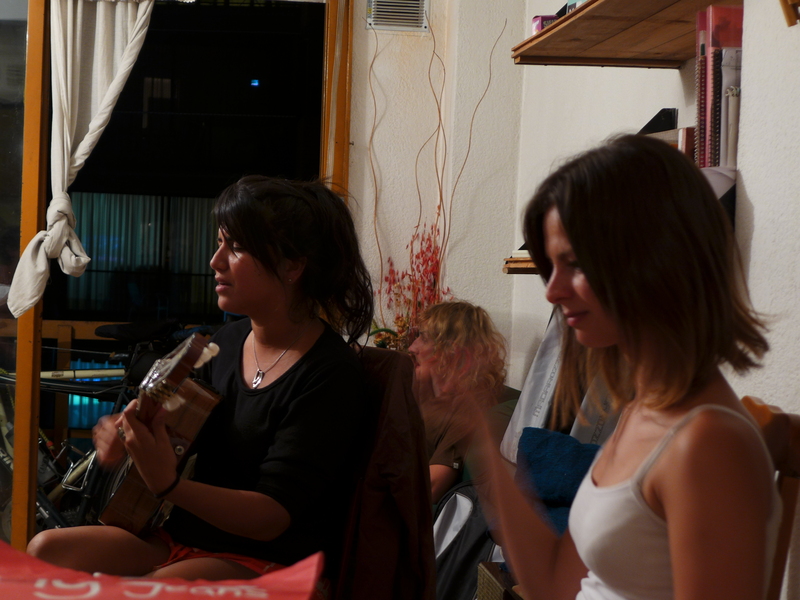 Now for another time Andrea & Nieves were singing in the living room. Food was abundant these days and we made something special out of each meal. Fruit and Bryan’s pancakes for breakfast, or Maggie’s Chili for dinner, there was always an idea ready when we were getting hungry and we enjoyed preparing and sharing our meals. It was a sad day when Maggie and Bryan were finally leaving after staying an extra three days, but as we all know: goodbyes are a part of travelling. And there is always a part in you that knows that you are left that much richer then you were before, which outbalances the sadness. They would be going to Gualeguaychu for its famous Carnival celebrations. You can read about it here and their account of Rosario here.